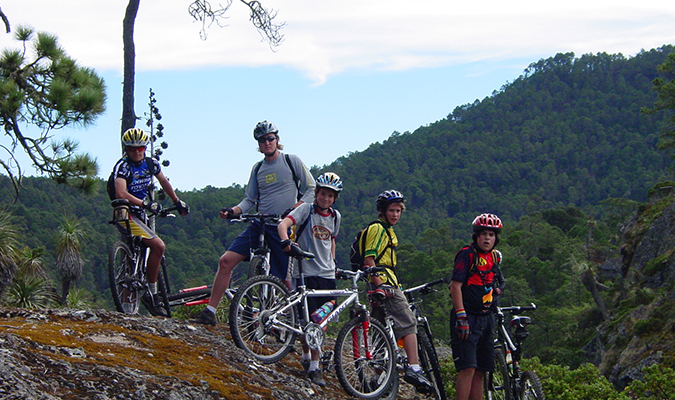 The Oaxaca Cycling Excursion provides you with the adventure to explore the amazing culture, cuisine, and landscapes of this spectacular area. For this level of biking, little experience in ruts and slopes is required because it will mostly contain flat paths with slightly bumpy slopes and few uphill routes (although the routes can be modified to the clients liking). Arriving at Oaxaca, you will be met at the airport by your private driver for your transfer to your hotel located 9 kms, 27 mins away. At arrival, you may check in and enjoy some time to settle in/rest before your evening excursion. Later this evening you will meet your guide at the hotel lobby for a walking tour to explore Oaxaca historic center with your personal bilingual guide. 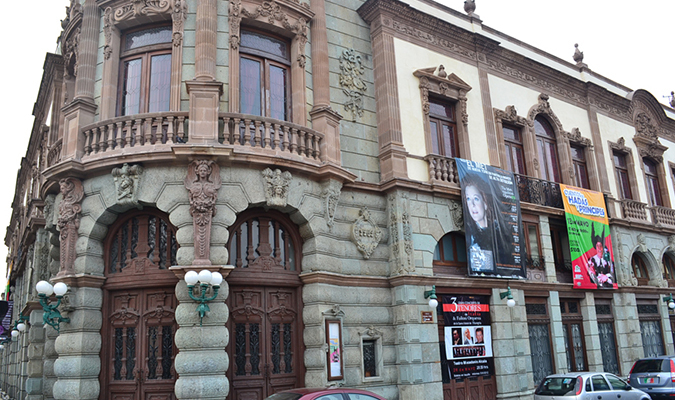 You will learn about the city’s cultural and historical heritage, while visiting markets, chocolate makers, museums and art galleries (time permitting). On this half-day experience, you will have a chance to try some of Oaxaca’s regional delicacies like hot chocolate and grasshoppers. Back at hotel relax and dine tonight on your own (not included) at one of Oaxaca’s fine restaurants. 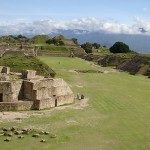 Today after breakfast, you will meet your guide in the hotel lobby to begin exploration in Monte Alban which is located just 9 km outside of Oaxaca City and is nestled on a mountaintop. 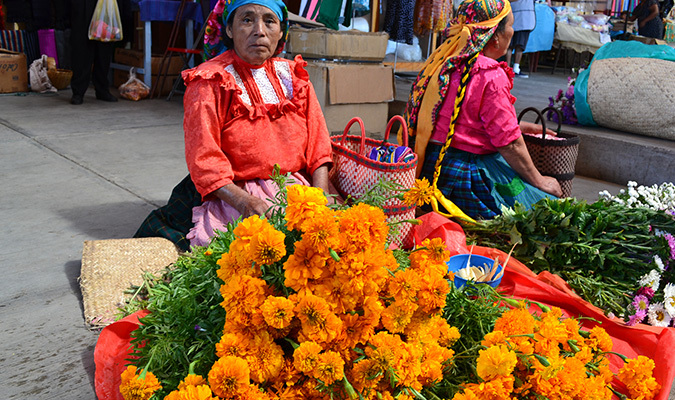 It is an important city for the Zapotecs and later the Mixtecs, it is believed to have been home to some 30,000 inhabitants at its peak (around 750A.D. ), making it one of the largest cities in Mesoamerica and now the largest archaeological site in Oaxaca which can be seen from rooftops across the capital. 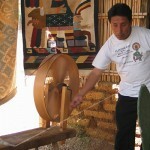 Your expert, bilingual guide will lead you on an exploration of the site. 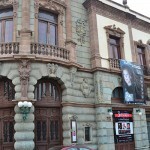 You will also have time to enjoy the museum that houses some of the original carvings of Los Danzantes. 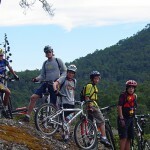 After your exploration of the site, you will be introduced to your biking guide who will take you on a four to six hour journey through wide dirt routes that connect some of the central’s most important villages that surround Oaxaca City. 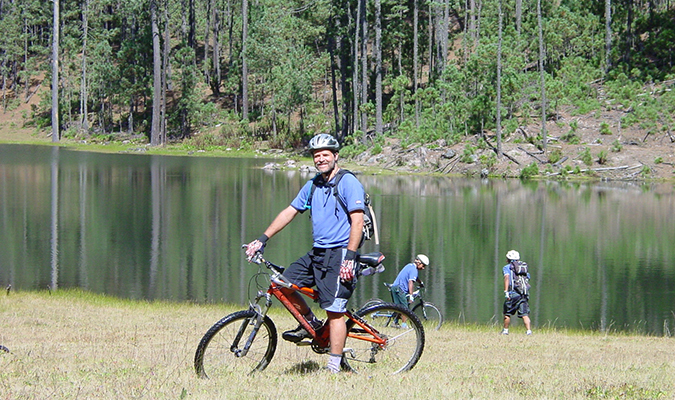 You will say goodbye to Monte Alban and hop on your bike for a unique biking adventure in which you may optionally visit Arrazola, a village famous for wood carvers that transform pieces of wood into colorful works of art named “Alebrijes”. 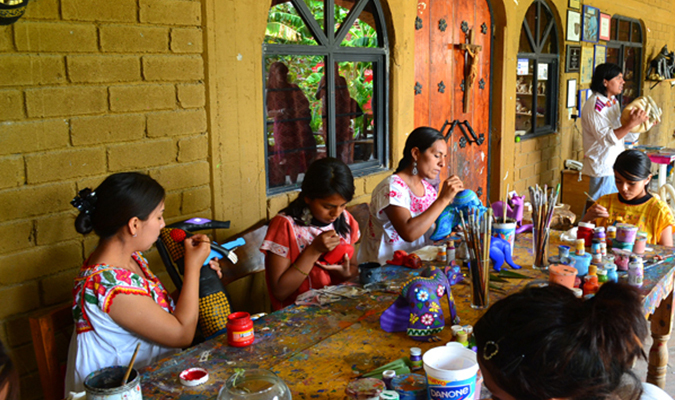 If you choose to visit the village, you will bike downhill to admire the magical artisan handcraft where you may choose to take home your favorite one before you bike back uphill and continue en route to Cuilapam de Guerrero. This village is known for its old ex- monastery, you may admire its beautiful architecture and style. Next you will bike toward Zaachila, a Zapotec village famous for its legends, ancient traditions and best of all the typical Oaxacan cuisine which you will enjoy as part of your experience, as well as the delicious natural fruit ice cream or “nieve”. After your culturally rich experience, you will be driven back to your hotel in Oaxaca City (34 mins, 14 kms) for the rest of the evening on your own at leisure. Today after breakfast and hotel check out, you will meet your private guide in the hotel lobby and you will be driven one hour from Oaxaca City to “Asunción Nochixtlán”. At arrival, you will hop on your bike to take one of the three routes that are available according to your level of experience (the routes have many up hills and down hills). Along the route, you will enjoy the many wonderful views perfect for beautiful photos. Nearing the end of the route, you will finish in “Santiago Apoala” where you will have a time for lunch and recover your energy for the next part of your adventure. Along with your expert guide, you will hike to the waterfall where you can take pictures or may chose to swim in the crystalline river. 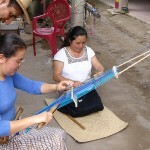 Afterwards, you will head back to the village “Santiago Apoala” where you may choose your overnight at a Community Cabin or be a special guest at a local family’s home (lodging as part of a Community Project). This evening you will have dinner and may like to spend some time with the locals or simply relax in the lovely outdoors. On your third adventure day exploring the northwest mountains of Oaxaca, you will start the morning with a one hour hike along a river in order to see the most impressive sights of a canyon and a spot where the 2 walls of the canyon raise to almost 200 meters and when seeing them from below they appear to touch each other. After the hike, we head back to the village to have breakfast and get ready for today’s adventure. Throughout the day and along the bike route, there are lots of things to enjoy such the forest; the trees covered with “Bromelia” a beautiful flower and the amazing landscape views. Followed by a 25 km downhill route leading to a little village named “San Pedro Jocotipac”, where you will awe in the enormous cactuses that surround it. At the end of the day, you will park your bike in the town called Cuicatlán, a mango farming town; here you will enjoy lunch at a local diner and be driven back to Oaxaca City (2:21 mins, 121 kms) to your hotel. This morning after breakfast, you will be driven to Santa Maria del Tule (28 mins away), a small town made famous by the Arbol Del Tule (tree of Tule) in the churchyard. This ancient and mighty tree is around 2,000-3,000 years old and has a diameter of 40 feet making it one of the world’s largest trees and oldest living species on earth. 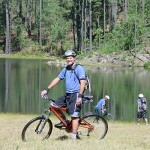 Afterwards, you will hop on the mountain bikes for a 30 km bike ride on ancient dirt roads that connect local Oaxacan villages. 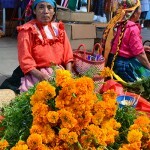 Ride among corn fields, agave plantations, and if you are lucky you may see traditional wedding ceremony! 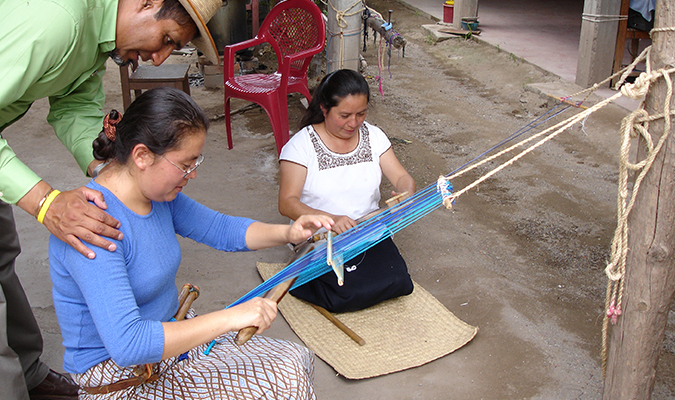 You may stop in the Zapotec village of Teotitlan del Valle, specializing in pre-Colombian weaving traditions. 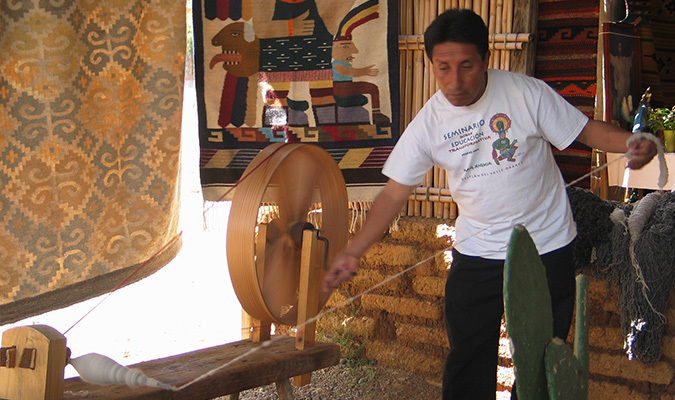 Visit local workshops along with your guide to learn about the process of spinning wool threads and using natural dyes made from moss, indigo, and the cochineal insect. You will end your ride in Tlacolula de Matamoros, where the support vehicle is waiting for a short drive to Hierve el Agua. At arrival, indulge in some of the most traditional Oaxacan dishes like the “Tlayudas” and “Memelas” which include fresh cheese, guacamole, salsa, quesadillas and a drink of your preference. After your meal, you will take a short hike to the petrified waterfalls, where you may enjoy the wonderful views and may chose to swim in one of the two natural pools located on top of the mountain enjoying your beautiful surroundings. Upon completion of your swim, we will drive back to Oaxaca City and visiting a “Mezcal” distillery (local alcoholic drink) en route where you will learn about process of how it’s made as well as have samples of its different varieties before drop off at your hotel. Today after breakfast you will meet your guide in the hotel lobby for a private excursion to Mitla archaeological zone (45 mins, 35 kms) through ancient culture and enduring nature. 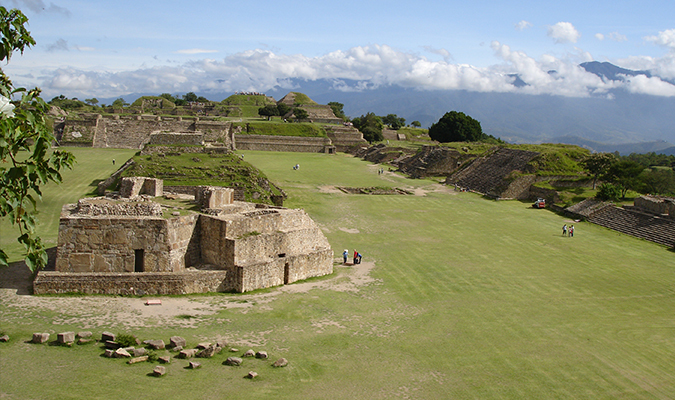 You will head to the ceremonial center of Mitla, located 44 km outside of Oaxaca city. 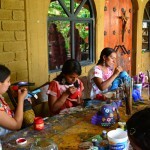 The site is famous for its intricate mosaic work that is found in no other Mesoamerican center. The mosaics, made from finely cut and polished stone, were fitted together without mortar and set against deep-red stucco, which remains vibrant in much of the site today. You will be led on an exploration of the site by your guide and have the chance to enter the tombs found there. Your time at Mitla will also include a visit to the 16th Century church built on a pre-Hispanic platform that now functions as an atrium. It is one of the clearest expressions of Mesoamerican and Catholic synchronicity found in the region and is home to fragments of original codices (Mesoamerican writings). Afterward, you will be driven back to your hotel for the rest of the evening at leisure or you may choose to do another optional activity. Today after breakfast and hotel check out, you will meet your driver in the hotel lobby for a private transfer to the Oaxaca Airport (9 kms, 27 mins) for your departure flight home. Important: This is a sample itinerary. At the time of quoting with a Journey Mexico specialist, there may be changes due to product updates, route accessibility, and seasonal changes.